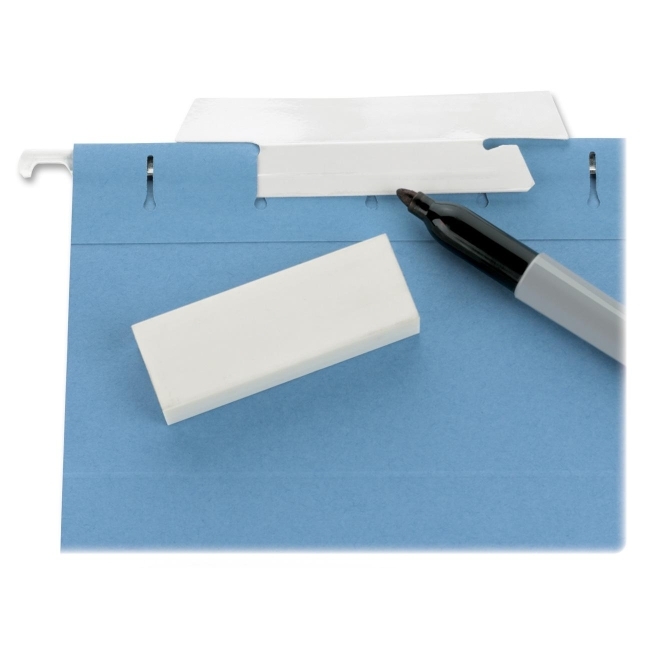 Erasable hanging folder tabs have a special erasable surface that makes it easy to revise and reuse the tabs. Write directly on the erasable surface with a permanent marker and easily erase with a standard white eraser. Eco-friendly, reusable solution.